I’ve been concerned about the slip in the quality of mainstream popular music artists and culture. Commercial Hip-Hop song, style and imagery, as well as much of Black popular music culture has little interest, it seems, in telling the people who they are, where they are and who they can become. Baraka's idea was that the music was a powerful banner for what the people believed and hoped in. Today, Black images and identities are teased, tortured and torched at the public stake; no place is this more evident than in contemporary popular music. 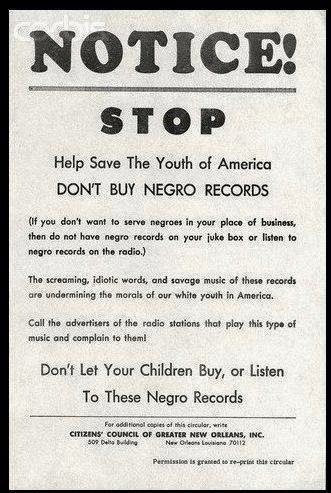 I wonder if looking back on this we will remember this period of black pop artists as the "musical walking dead"? We have slipped into a Zombie Nation on this issue. During the lives of Black Americans from the 1940s through 1990s, “the musician community” provided swing, gospel, bebop, r&b, free jazz, soul, ( Motown, Stax, Philly Soul), soul jazz, fusion, Reggae, funk, hip hop, and urban contemporary. All very different types of artistry but from the same root, people and conditions. Earlier generations passed on and pushed an "aspirational mindset" in music—to aspire beyond, toward a quality life mode, with hard work and accomplishment that buffered against disappointment, failure and shut doors. The songs were high inspiration, had a redemptive quality, a prescription for living and imbued with community value. Song was a part of the social medicine with examples like "Ain't No Stopping us Now" and "Keep Your Head To The Sky." Many my age, have argued that it appears that today's generation has little of a connected, sustainable, political, social, and cultural agenda. Or that some of the progressive forward gains of the Civil Rights Generation, are today being systematically and culturally undermined by negative political forces as well as, complacency and a sense of apathy. Given current trends in mainstream radio, the media industry and digital culture, many of today's artists are not being supported in moving in their own new artistic individual creative directions. There's nothing that really stands out, as memorable about much of today’s commercial music because everything is pre-fabricated, and produced for the artist. Too much of mainstream contemporary music making has become an "easy bake oven form, because of fast fancy technology and industry interests in only a common sold, commodified product. Even the Internet—and the democratic access it has provided—may in the long run be cheapening the value of our exchanges and representations. We have lowered the value of many things because they are mostly free. It's time to work on a new way of thinking. Cultural expressions like music resonates in human-spiritual zones, and belong to the people, not corporations. People make music to respond to the way they move in the world; it's not computer or YouTube generated. Wouldn't it be something though if our churches, synagogues, temples and communities with support of local radio would bring folks together to create sustainable programs of community focused news and information, arts, education and political talks? We could create "community theaters," an idea Guy Ramsey writes about in his book Race Musicwhere folks "combine and form living photographs, rich pools of experiences and a cultural poetics." 1. A re-tune and re-boot, of the system. Today’s music programming is mostly governed by marketing sales ploys, devised-based solely on business needs to feed the market and profit from topical style and fashion surges. Change that agenda. 2. Young musicians need to be able to feel encouraged to make music that makes their soul sing and touch people to give human joy not to chase constructed toys and plots and ploys. The market follows the dictates and demands of the art, not the other way around. There needs to be venues and media that illustrate what musicians and artists really talk about: their love in making music because of music. This is the information, the story the public needs to see and hear. And the beat and the rest will all follow, and that's how we move from cultural Zombie Nation to cultural theaters and working together again to create a better living culture than we have right now. Bill Banfield is a composer, recording artist, Professor, director of Africana Studies Music and Society/ Center, at the Berklee School of Music, Boston. He is the author of several books including, Representing Black Music Culture: Then, Now, and When Again? and Cultural Codes, and the host of ACC with Bill Banfield, a part of the Tavis Smiley radio network.